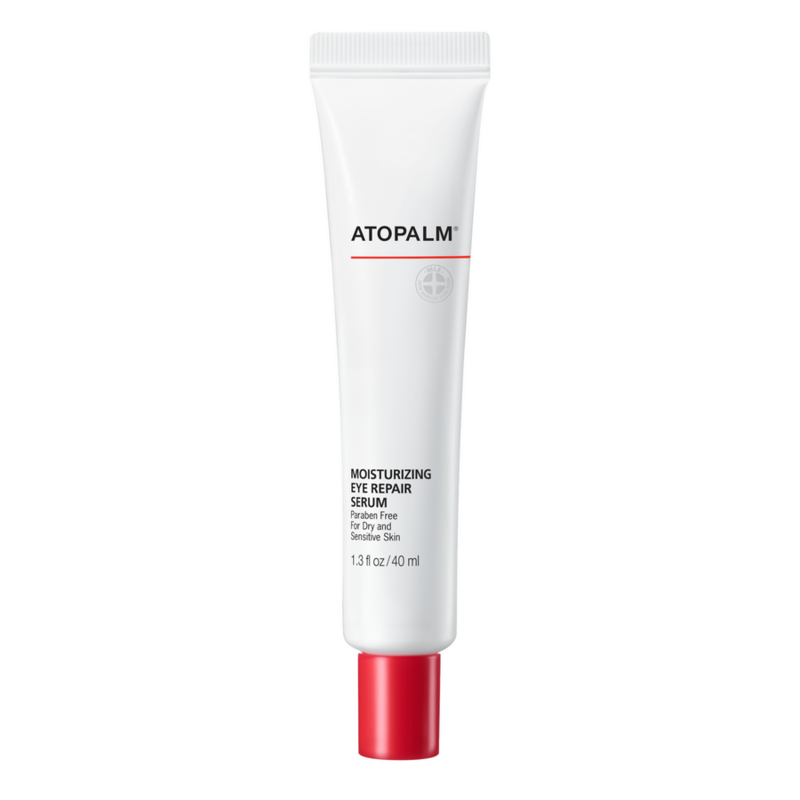 Atopalm's Moisturising Eye Repair Serum is a rich yet lightweight eye serum designed to reduce visible signs of aging. It uses an advanced blend of ingredients, including Atopalm’s patented MLE technology, to hydrate and smooth the skin within the eye area. The result is a brighter, more youthful- and rested-looking eye area. An anti-aging, restorative eye serum that protects the sensitive eye area as well as diminishes the visible appearance of fine lines and wrinkles. Made with a dynamic peptide complex combined with vitamin C, the gentle yet effective serum fights free radicals and prevents the signs of premature aging. Using natural science this formula has been specially developed for the sensitive skin around the eye area. It combines a dynamic combination of plant peptides to visibly fight the signs of ageing, prevent anti oxidant damage and provide optimum moisturisation. Before and after photos were taken after 6 months of use of Atopalm Moisturising Eye Serum.